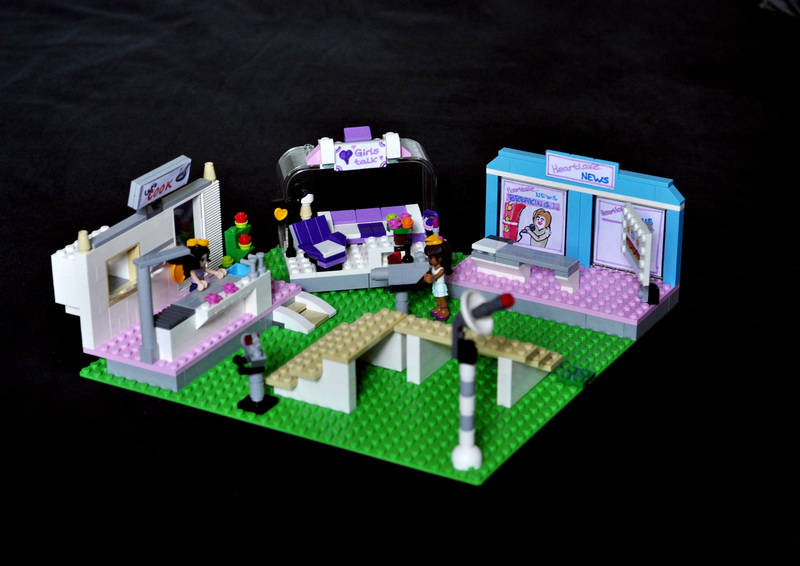 Gives girls the possibilities to live out their fantasy of being their very own tv presenter. 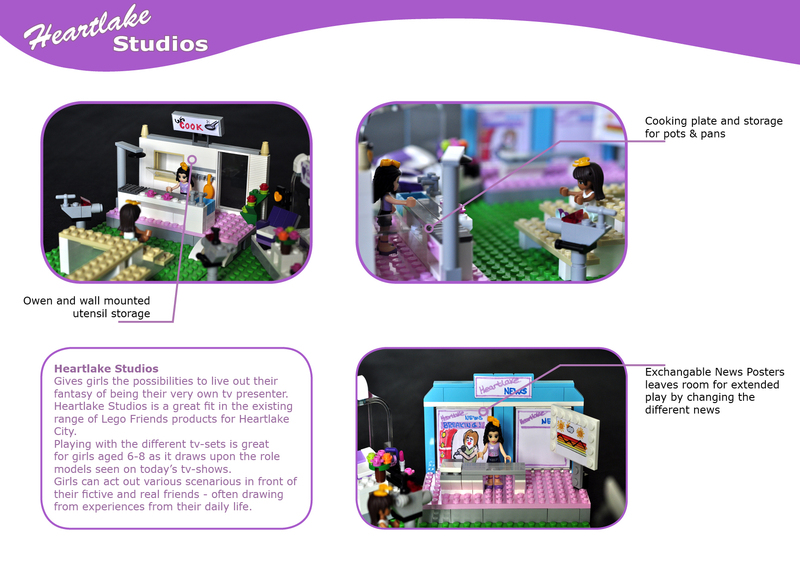 Heartlake Studios is a great fit in the existing range of Lego Friends products for Heartlake City. 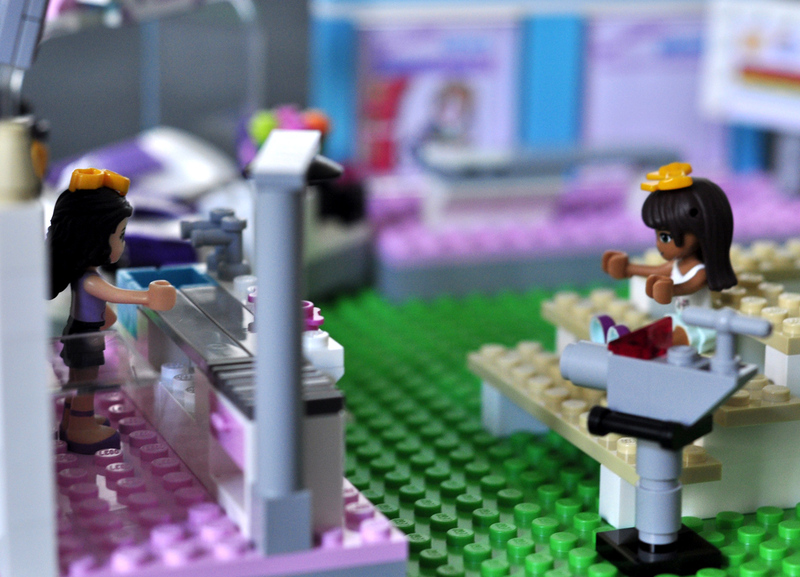 Playing with the different tv-sets is great for girls aged 6-8 as it draws upon the role models seen on today’s tv-shows. Girls can act out various scenarious in front of their fictive and real friends – often drawing from experiences from their daily life. 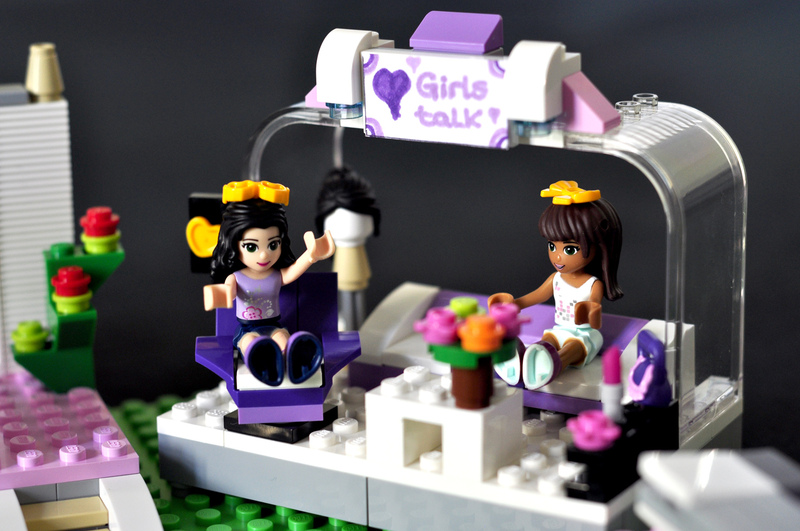 The talkshow where girls can play out what’s on their minds. Bring up topics like fashion & makeup, gossip, celebrities, boys etc. 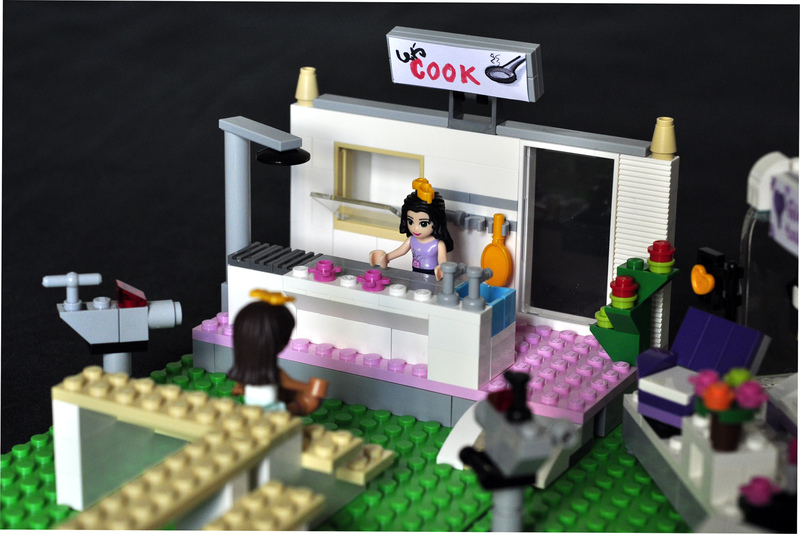 live out the fantasy of creating yaw dropping cup cakes, delicious salads, and other delightful foods in the cookery studio. 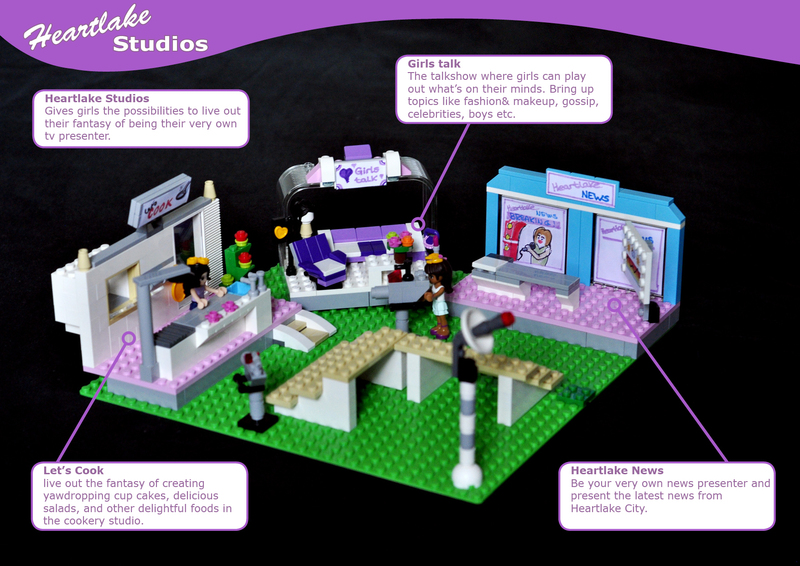 Be your very own news presenter and present the latest news from Heartlake City. Includes exchangeable News Poster to vary the tv presenter displays with Breaking news, weather forecast etc.